Contemporary platform bed with arts and crafts flavor. Platform has a hidden drawer with a safety lock. Drawers divided into 2" squares with curly maple divider and velvet bottom. 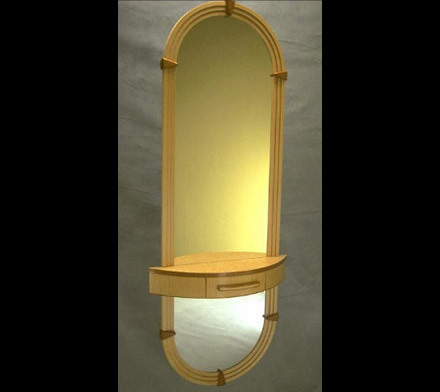 Steam bent white oak legs and accents with curly maple cabinet and mirror.